Edward was born in 1832 at Calderbrook, Lancashire. Edward was converted at a comparatively young age and was admitted to the Shore Society in Rochdale through the ministry of Robert Kaye. 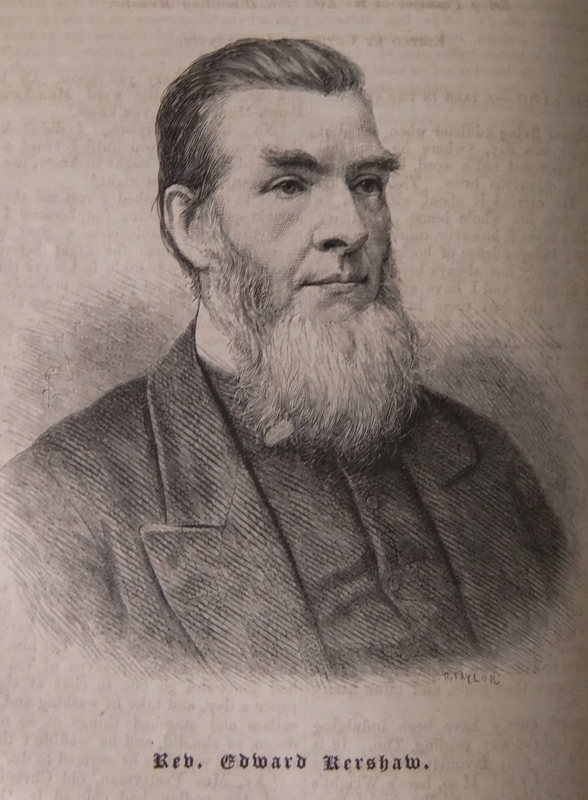 He became a local preacher and later became a hired local preacher in the Rochdale circuit. Edward’s obituary records that in his circuits he was much respected for his patient industry, plodding perseverance and unostentatious service. He had few privileges in early life, hence most of his knowledge was self-acquired, yet by dint of perseverance he became, if not a brilliant, yet a useful minister of the Gospel of Christ. Edward married Helen Ramsbottom (1835-1864) in the spring of 1861 at Bury, Lancashire. They had one child who died aged two. Edward married Sarah Ann Kaye (1836-1900) in the summer of 1865 at Stockport, Cheshire. Sarah was the daughter of Rev Robert Kaye. Census returns identify two children. Edward died on 23 May 1894 at Earlstown, Lancashire. This page was modified on 23 June 2017 to add details of his son Robert, identified through the 1871 Isle of Man Census return, and cross reference to a new page on his wife, Sarah Ann Kaye.